MDA4eclipse - by Etienne Juliot: Papyrus 1.6 is released with Acceleo ! Papyrus 1.6 is released with Acceleo ! 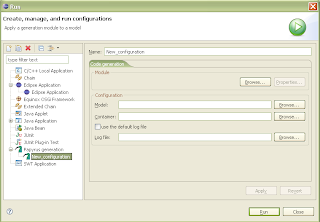 Papyrus, one of the best OpenSource UML modeleur on the Eclipse platform has been released. Papyrus includes a new killer feature : Java code generation from UML models. And which generative engine does they choose ? Yeah ! Acceleo. Obeo has joigned Papyrus community to help them to create this Java generator. Of course, this generator is under EPL license. My son, you will be a chief !